BRAND NEW ROOF & EXTERIOR PAINT! OVER $150K IN UPGRADES! DON'T MISS THE 3-D VIRTUAL TOUR & LUXURY WEBSITE!! This highly sought after 2-story Aberdeen Villa boasts over 3, 200 sqft of stylish and bright indoor living with expansive golf course views. This up-scale residence has been completely upgraded and custom painted. 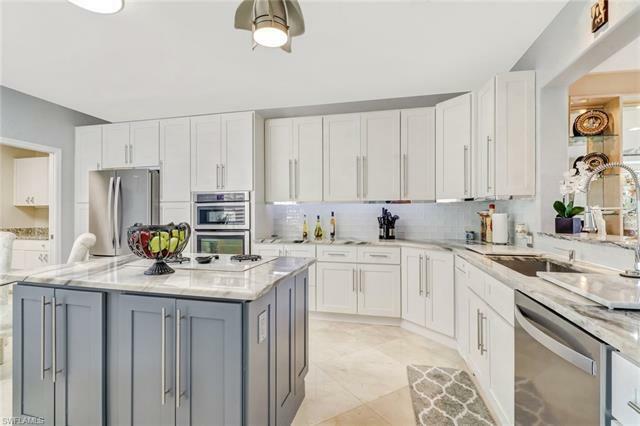 Fine finishes include: NEW hardwood flooring, stainless steel kitchen appliances, Samsung brand washer & dryer, new ceiling fans and light fixtures, wood plantation shutters, roman columns, custom trim & crown molding. This home offers a great room style floor plan with true Wet-Bar! The lanai is an extension of the living area, offering a large, heated, salt water pool with updated lush landscaping. The spacious Master Suite showcases NEW Bamboo hardwood flooring and walk-in closet. The Luxury Master Bath features dual vanities, soaking tub spa and large walk-in shower. The Strand community located in the heart of North Naples offers 27 holes of golf, tennis, dining, fitness center and various golf and social memberships. Dining, shopping and local beaches nearby! !